All content, except where noted, on this site, such as text, graphics, logos, button icons, images, software, et. al. is the property of Bloomfield/Schon+Partners, LLC (Bloomfield/Schon) protected by United States and international copyright laws. Bloomfield/Schon allows you a limited license to access and make personal use of this site and not to download (other than where indicated) or modify it, except with the express written consent of Bloomfield/Schon. No portion of this site may be reproduced, republished, copied, sold, transmitted or otherwise for any commercial purpose without express written consent of Bloomfield/Schon. Bloomfield/Schon may provide links to third party sites. Bloomfield/Schon, or any of its subsidiaries, partnerships or other business entities, is not responsible for the content, technology or privacy practices of a third party site. All use is at your own risk. In no event shall Bloomfield/Schon be liable for any loss, injury, claim, liability or damage of any kind arising from use of this site. By visiting this web site, you agree that the laws of the state of Ohio, without regard to principles of conflict of laws, will govern these conditions of use and any dispute that might arise between you and Bloomfield/Schon or any of its subsidiaries or its affiliates. This site and Terms and Conditions may be changed by Bloomfield/Schon with or without notice. Please review this link on a regular basis for changes. 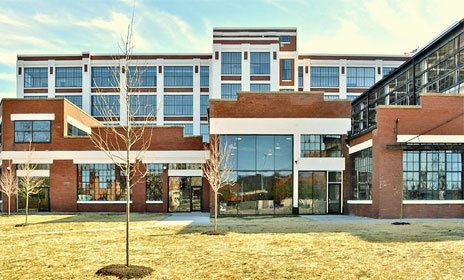 Copyright ©2011 Bloomfield/Schon+Partners, 660 Lincoln Avenue, Cincinnati, Ohio 45206. All rights reserved.